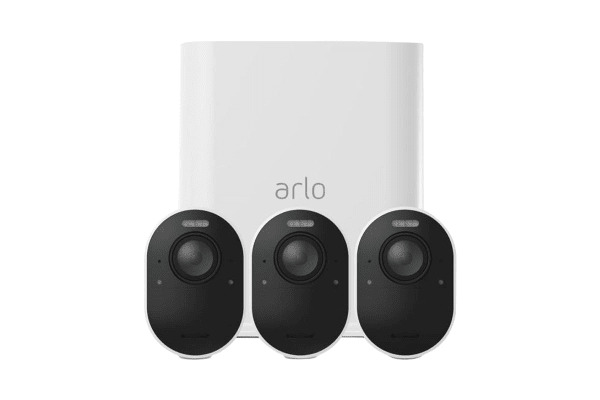 The Arlo Ultra 4K UHD Wire-Free Security Camera System with 3 Cameras features a high-performance 4K HDR lens that ensures cutting-edge image quality. 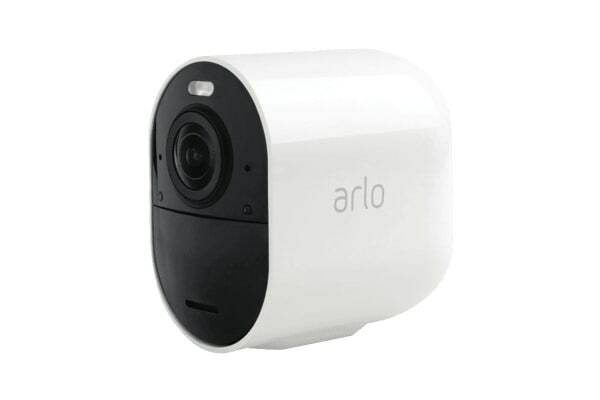 See more details with the Arlo 4K UHD Wire Free Security Camera System with 3 Cameras in a wide range of light conditions, from bright highlights to dark shadows. High resolution 4K video reveals key image details, including words, logos and license plates. Get a more complete picture of your property with a 180° diagonal field of view and without the typical fisheye distortion. Ward off unwelcomed guests with Arlo Ultra’s powerfully bright, motion-activated spotlight. This integrated spotlight allows you to see video in colour rather than traditional black and white. Arlo Ultra features dual, noise-cancelling microphones that reduce distracting background noises like wind, rain and street activity, providing you clearer distortion-free sound. Set your siren to sound automatically or trigger it from your phone upon receiving an alert. Recharge your battery quickly and easily with a power cable that snaps into place. Install your camera with ease and cover more angles, thanks to Alro Ultra’s magnetic mount.